The Earth's Best diaper is an average diaper with an above average price. This diaper impressed in its leakage results and research, but its overall performance for absorption might leave baby feeling a little wet. Also, while this diaper is relatively durable compared to the competition, it isn't that comfortable or healthy with a rougher liner and only a partial disclosure list of ingredients that are somewhat vague and potentially misleading. We think the same is true of their transparency regarding eco-friendliness and believe this brand could do better by increasing their disclosure and efforts to think of baby's health and the Earth first. Earth's Best goal is to "protect the earth through sustainable farming practices." The company focuses on quality and organic farming for the last 30 years and are committed to Earth-friendly practices. Earth's Best makes a variety of products for baby including diapers, wipes, formula, and first foods. Earth's Best scored well in preventing leaks but struggled to absorb liquids fast enough to keep baby dry. The comparison chart shown below includes the overall scores for each diaper we tested including Earth's Best (in blue). 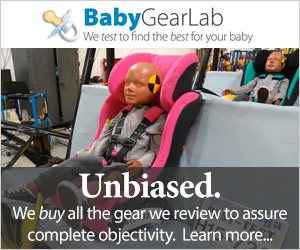 The subsections below include what we like and dislike about this diaper compared to the competition based on test results. Earth's Best did well in our run-off test indicating fewer potential leaks but it didn't lock moisture away fast enough as indicated by the moist test paper. We like this diaper for its excellent ability to prevent leaks. This diaper earned an 8 of 1 for leaks performing well in our run-off tests and according to most reviewers on Amazon. Earth's Best is fairly durable with only a few complaints of faulty tabs and not much else. This diaper earned a 7 of 10 for durability compared to the competition, with fewer reports of faulty tabs, escaping SAP, or falling apart that some of the competition. Unfortunately for this product, the higher durability score may be a result of a more uncomfortable diaper (see dislikes below). While the Earth's Best diaper did have moisture transfer to the test paper, it isn't as bad as some of the competition. Earth's Best also earned an average score for absorption and health with a 5 of 10 for both. This isn't as good as some of the competition, but there are products in this review that earned lower scores.In our tests, the transfer paper did have some moisture on it, but it wasn't as significant as lower scoring products. While this isn't a great score, it isn't terrible, especially when combined with a higher leakage score. For health, Earth's Best doesn't offer a complete disclosure list which is a bummer. However, they did offer enough details to earn an average score. This diaper is chlorine free, though they don't specify if this is totally free of chlorine or only free of elemental chlorine. It is also free of perfume and latex. It claims to be free of dyes but has a print on the waistband. Many diaper brands will use what they call "pigments" to make a claim of dye free. What the difference is between a pigment and a dye is anyone's guess, since there is not an industry agreed upon definition. We aren't big fans of these kinds of games with words, and we think it is misleading to consumers to intentionally use the lack of agreed upon definitions to make inaccurate claims. Other than a nice feeling elastic, the Earth's Best diaper is not a very cozy option. This diaper struggled in most metrics to eek out an above average score, and it only managed it for leakage and durability. With only two average metric scores, the remainder were below average making them things we don't like about this diaper. Earth's Best earned a 6 of 10 for comfort, which is below average. When compared to the competition. This diaper isn't as soft inside or out, and the motion points and closure tabs weren't very skin-friendly. The elastic on this diaper is really nice, but it isn't nice enough to make up for the other comfort issues we observed. For a diaper that claims to be good for the Earth, this option didn't pass muster compared to some of the other options we tested. While no disposable diaper is great for the environment, some products are trying to improve their footprint or at least decrease their impact. Earth's Best doesn't offer a full disclosure list of their best practices, and they make no claims of biodegradability or recyclable packaging. And while they do claim to use wheat and corn they don't explain how and it doesn't seem to decrease the other materials that aren't as eco-friendly. Overall, this diaper only scored a 2 of 10 for ecology. Earth's Best diapers earned an above average overall score in our tests. It performed well in our tests and research for leakage, but it struggled in areas we would have expected it to excel like eco-friendliness and baby's health. This diaper offers average absorption properties and durability with below average performance for comfort. Overall, it might provide adequate protection against leaks and keep baby dry, but for the price, we think it should provide more in the way of absorption, health, and eco-friendliness.